According to a Gallup poll, the average American works 8.8 hours a day or 44 hours a week. That’s a lot of time spent in the workplace therefore American offices are getting more energy efficient, stylish, safe and conscious about workplace productivity. The 3M™ window film is a cutting-edge product that can help with all these workplace concerns while benefiting the bottom line. In fact, the Department of Energy recognized 3M window films as a top efficiency upgrade with a high probability of success with a return on investment within 2 to 3 years. 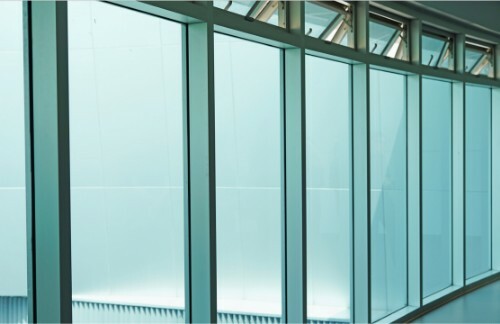 So, what makes 3M window film such a smart investment for commercial buildings? One of the most outstanding benefits of 3M window film is the energy efficiency. Whether using sun control films to decrease energy consumption or daylight redirecting films to deepen the reach of natural light, the savings are hot. The decrease in carbon emissions and dependence on artificial light is as good for the environment as it is for the bottom line. The US Department of Energy estimates that as much as 75% of existing windows are not energy efficient, windows when tinted with 3M window film translate into annual energy savings of 15%. The breakdown of 3M window film capabilities is as following: up to 85% reduction of heat from the sun, 99 % rejection of UV light, and a reduction of up to 95% of glare. The energy savings make up for the cost of window film in under 3 years which is a great deal for any commercial property. The way the windows look in a commercial property reflects on the business and its reputation. Decorative window films are a cost-efficient way to spruce up the aesthetics of a building. Window tinting can be a stylistic feature that is a fraction of a cost of etched glass. Whether, a mural or picturesque view, 3M window film can add an element of style to any business. Better looking windows will add to workplace productivity by being more attractive. It has also been found that the reduction in glares, hot spots, temperature fluctuations, and natural light add to employee retention. Workplaces that have better energy management have happier employees with less sick days, absenteeism, and clients that buy more from the business. 3M window films are a great security feature as well. Window glass is fragile often vulnerable to break-ins and crime. It takes as little as a softball to shatter through a window pane in most businesses. Specialized commercial safety and security window films serve as a shield to protect fragile glass from severe weather, crimes, bombs, active shooters and vandalism. The business will be better protected from elements of disaster with 3M window films. Commercial 3M window film is gaining popularity in offices across America for its myriad of benefits. From energy efficiency to aesthetics, security to a boost in workplace productivity, the 3M window film is essential for every office. If you would like to learn more about how to get your Cincinnati or Columbus, Ohio based building in shape this year with a 3M Energy Saving Window Film, click HERE, email us at info@solartint.com or call us at (888) 616-1488. You can begin saving money while enjoying a greater degree of comfort before you know it.